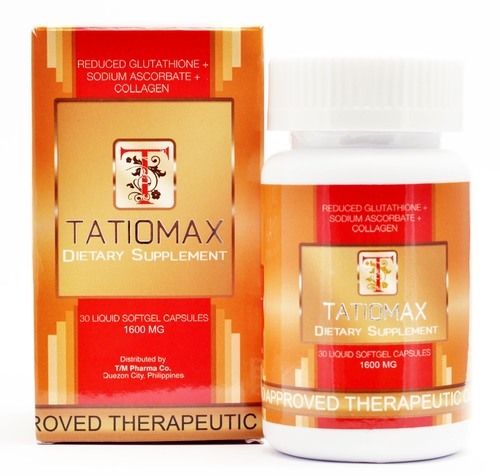 Tatiomax Plus | Beauty. Skin Whitening. Health & Sexual Wellness. L-Glutathione is a compound classified as a tripeptide made of three amino acids: cysteine, glutamic acid, and glycine. Glutathione is also found in every part of the body, especially the lungs, intestinal tract, and liver. The body produces and stores the largest amounts of GSH in the liver, where it is uses to detoxify harmful compound so that they can be removed from the body through the bile. The liver also supplies GSH directly to red and white blood cells in the bloodstream; it helps keep red blood and white blood cells healthy to maximize the disease-fighting power of the immune system. Glutathione also appears to have an anti-aging affect on the body. There is no Recommended Dietary Allowance (RDA) for GSH, but supplements have no known harmful side effect. Glutathione supplements can be expensive, but there is some question about the body’s ability to absorb GSH efficiently in supplemental form. If you want to take GSH supplements, just make sure to take them with meals to maximize absorption. The usual dose for extra glutamine is anywhere from 1,000 to 5,000 milligrams. INDICATIONS: Different alcoholic liver diseases (alcoholic fatty liver, alcoholic liver fibrosis, alcoholic liver cirrhosis, and acute alcoholic hepatitis). It is an emergency antidote in treatment of poisoning by radiotherapy drugs and chemicals. RECOMMENDED DOSAGE: 1-2 vials, once or twice a week via IV or IM.